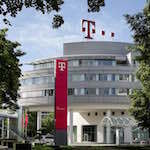 Our 2019 European conference will see RAG return to Bonn, Germany, and the head office of hosts Deutsche Telekom. The conference is scheduled for Tuesday 11th and Wednesday 12th June. All talks will be given in English. Risk and assurance professionals who work for telcos or regulators may attend for free. Deutsche Telekom last hosted RAG during the Summer of 2017, and that event attracted expert speakers and attendees from all across Europe. We expect an even larger turnout for this year’s conference. The conference will cover fraud management, revenue assurance, cost management, margin assurance, other kinds of business assurance, enterprise risk management, security and credit risk. Unlike other conferences we want to avoid promising speakers until we are confident they can take part, so we share the draft agenda online and update the schedule every time a new speaker is confirmed. Look below for the latest version of the draft agenda or open it in a new window by clicking here. Click on a speaker’s name to read their biography or look here for a complete list of of all confirmed speakers. Continue reading below for an outline description of the sessions listed in the agenda. A high-powered panel will discuss key choices for embedding governance, risk and controls (GRC) within telcos. The panellists will include: Patrick Gill, Chief Risk Officer and Company Secretary of Millicom; Ingrid Azzopardi, Group Internal Auditor for Maltese operator GO; and Marius Sagatavičius, Head of the Prevention Team at Telia Lithuania. John Haraburda, Principal Solutions Engineer Director at iconectiv, will draw on his extensive knowledge of working in fraud management and revenue assurance whilst describing the latest techniques to mitigate operational risks. Robert Teichmüller, Head of Deutsche Telekom’s Global Carrier Fraud Management, will talk about his business is combatting international voice fraud, including the recent completion of a project to implement an automated big data solution that monitors on 24/7 basis. 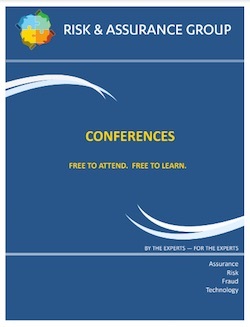 All RAG conferences include a panel that focuses on strategic trends in fraud, and this year the emphasis will be on the impact that cheap internet voice calls is having on the scale of fraud and the countermeasures being adopted by telcos. The RAG Bonn panel of anti-fraud experts will include Peter Coulter, Executive Director of Fraud and Risk Management at AT&T, Adam Falus, Senior Head of Fraud Management at T‑Mobile Czech Republic, and Bryan Rowe, Managing Director of Six Degrees. Our cybersecurity panel will feature a range of security experts, including Lanre Rotimi, Global Cyber Security Process Manager at Vodafone. The panel moderator will be Vernon Kitay, a highly-qualified risk, governance, assurance, data protection and information security practitioner who currently serves as the Virtual CISO of a series of clients. Michael Lazarou and Tony Sani will present the roadmap for RAG Learning, our online training platform. They will also discuss plans to extend its reach within and beyond the 65 countries where students have already enroled. Michael works as an RAFM Manager for MTN Cyprus and is the volunteer coordinator of RAG Learning. Tony is an RAFM executive with extensive international experience, as well as being a member of the RAG Steering Committee and chair of its Education Sub-Committee. Our second fraud panel will cover specific concerns surrounding wholesale fraud, asking whether the industry is letting itself down by not doing more to counter systemic frauds perpetrated on a large scale. The panel will be moderated by Robert McGregor, Fraud Operations Team Leader at Verizon International. Geoff Ibbett of Symmetry Solutions is the leader of RAG’s innovation program, and he will brief the audience about plans to turn the RAG Revenue and Cost Risk Catalogue into the basis of an industry benchmark for assurance coverage. Kostadin Taneski of A1 Telekom Austria will give a brief update about the free revenue leakage risk modelling software his team released in June 2018. Artem Smirnov will draw upon his years of experience shaping the revenue management strategy of MTS Group to explain the reasons why the industry needs to change its current assurance practices in order to create ecosystems that are more robust and flexible. Gina Pesheva of Deutsche Telekom will give a presentation that reflects on the current state of work in business assurance. Entitled “Business Assurance in the Driver Seat”, she will share her experience of being the person who drives assurance forward with the consent and approval of all stakeholders. Gina is an expert in RA and billing, and a member of the RAG Steering Committee. The revenue assurance strategy panel will debate the changes that department heads will need to make in order to cope with the wave of industry transformation over the next five years. Amongst the strategic thought leaders will be Sebastian Milczanowski, Head of Group Margin Assurance at Vodafone, and Sha’ad Hossenbaccus, Global Revenue Assurance Manager for the Millicom Group. Atul Jain founded TEOCO in the mid-90’s with an investment of just $2,000. Now TEOCO supplies network analytics and other solutions to over 300 communication service providers and OEMs worldwide. Despite the demands of running a successful international business, Atul makes time to be a regular participant in RAG conferences. He is guaranteed to challenge the way the audience thinks about tackling problems and finding solutions, which is why he is one of RAG’s most popular speakers. Andy Rawnsley, Chief Architect at Gamma Telecom, will speak about nuisance calls and what he is doing to tackle them in collaboration with the NICC, the UK interoperability forum, and others. Professor Bernhard Sick of the University of Kassel and Arnd Baranowski, CEO of Oculeus, will share some highlights from their collaborative research into SIP-enabled anti-fraud methods. A panel of leading technologists and consultants will discuss the most vital principles to follow when automating revenue assurance and enhancing business processes. The panellists will include Nixon Wampamba, General Manager in the RAFM Centre of Excellence at MTN Group, Jeremy Paynter, Senior Revenue Assurance Manager at Inmarsat, and Hakim Akayour, Head of Operations & Analytics for the RA function at BT Group. The panel moderator will be award-winning consultant Rene Felber of EY. The RAG tradition is to close each conference with a ‘Wise Heads’ panel, where industry veterans will share their opinion of what were the key takeaways from the conference. RAG Chief Exec and Commsrisk Editor Eric Priezkalns will moderate the discussion. The conference will be held at the head office of Deutsche Telekom. The address is: Friedrich-Ebert-Allee 140, 53113 Bonn. A map is shown below. The following hotels are also marked on the map. As well as providing lunch and refreshments during each day, we intend to provide food, soft drinks and the opportunity to network each evening. We will provide further details when they have been confirmed. Whilst it is always best to check the online agenda for the most up to date schedule of conference talks and panels, we appreciate that telco managers would often like to see a brochure before deciding whether they will attend. A printable PDF brochure will be made available in due course. Managers and staff employed by telcos or telecom regulators may participate in RAG Bonn for free, so long as they register using the email address associated with their employer. Academics who engage in relevant research may also register for free. Registrations are managed via Eventbrite; click the button below to begin. Please complete all the fields to register. Sponsoring businesses may send their representatives to RAG Bonn. If your business is interested in participating in RAG events then please make your initial query through our contact form. RAG allocates a limited number of complimentary seats for freelance consultants, subject matter experts, and other industry leaders. To maintain a balanced audience, these seats will only be made available to specific named individuals. Invitations will be emailed in due course. If you wish to be added to the guest list you should contact a member of the RAG Committee, or else ask the host or one of the conference sponsors to forward your request. One of the most important aspects of our conferences is what we call the ‘RAG Spirit’. We want attendees to feel relaxed and have the freedom to talk openly about the challenges they face. To protect the RAG Spirit, we reserve the right to decide who may attend on a case-by-case basis. RAG is a not-for-profit enterprise, and telcos and regulators may attend our events for free, as do many specially invited experts. That means we rely on the generosity of the businesses that host our meetings and pay for everything from our web server to the coffee we serve attendees. We would like to thank the following businesses for contributions that have made this conference possible. If you would like to host a future RAG event or if you want to learn about sponsorship opportunities then please get in touch. We will be glad to hear from you!